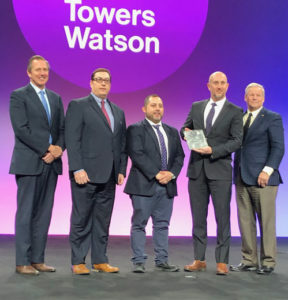 Safety Award #1: Recognized by Utility & Transportation Contractors Association (UTCA) on February 23, 2018 for an outstanding 2017 Safety Performance Record and Yearly Number of Safety Training Hours per worker. 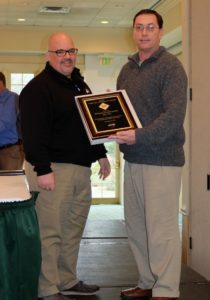 Conrad Reynolds (pictured to the right), Director of Safety for Trevcon Construction, receiving the award. Safety Award #2: Recognized by Associated Construction Contractors of New Jersey (ACCNJ) on June 5, 2018 for extraordinary efforts in achieving a lost Workday Incidence Rate well below the National Average for the 2017 calendar year.